Mid May - Mid Oct.
Desert View Campground is located 26 miles east of Grand Canyon Village by Navajo Point. The east entrance station to the Grand Canyon is just a couple of hundred yards to the south of the entrance to the campground. Some of the most spectacular views of the Grand Canyon are seen from the Desert View Watchtower located within walking distance of the campground. At the base of the tower is a gift/souvenir shop. On the second level, there is a terrace that allows great spanning views of the Canyon. Just a mile and half west from the campground is Tanner Trail. Tanner Trail leads you down into the Grand Canyon and comes to an end at the Tanner Canyon Rapids on the Colorado River. Desert View Campground is a first-come, first served campground. At each campsite you can have a maximum of 2 vehicles, 6 people and 3 tents. Any vehicle pullong a trailer, pop up tent or a motorhome towing a car is considered two vehicles. Pets must be on a leash at all times. There is a fine if you are caught without your pet on a leash. From Flagstaff travel north on Highway 89 to the town of Cameron and turn left on S.R. 64. S.R. 64 will take you to the east entrance of the Grand Canyon. 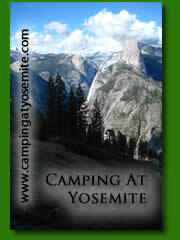 Once in the National Park, the campground entrance is on your right. Don't forget to have your camera out at the Little Colorado River Gorge will be to the north on S.R. 64 and is worth a few pictures.From Grand Canyon Village follow S.R. 64 east 26 miles to the campground entrance.